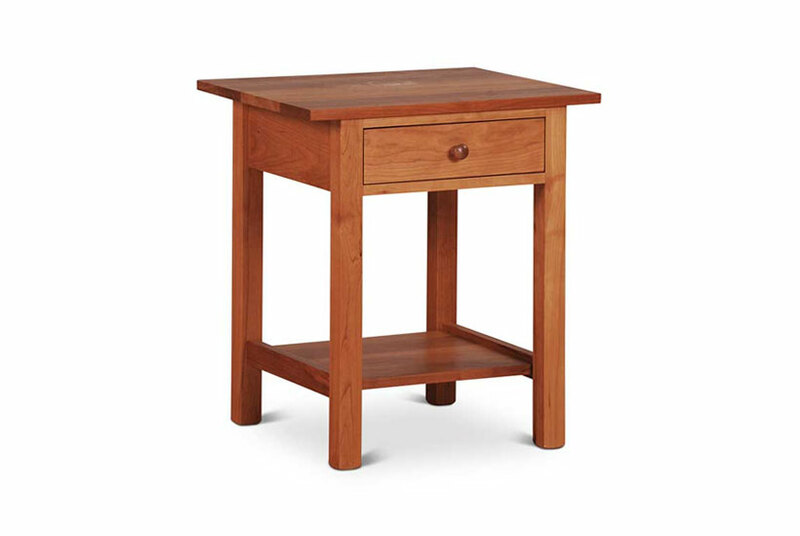 Beaumont End Table available in your choice of solid cherry or walnut. The Beaumont End Table measures 23″ wide x 19″ deep x 26″ high. 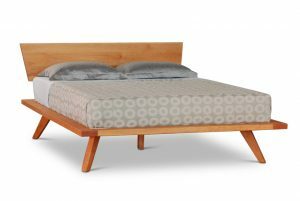 The natural beauty of the wood is enhanced with a non-toxic oil and wax finish. 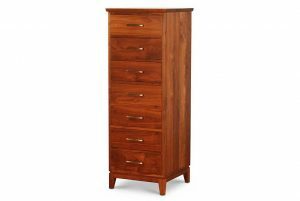 The Beaumont measures 23″ wide x 19″ deep x 26″ high. 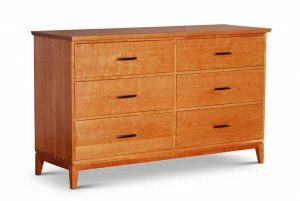 The single drawer is crafted from solid maple of dovetailed construction. The natural beauty of the wood is enhanced with a non-toxic oil and wax finish. Your choice of knobs. 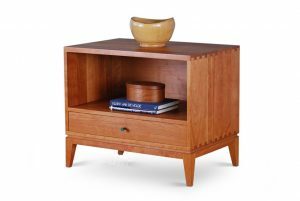 Beaumont is also available without the shelf. The Beaumont is manufactured at our workshop in the Brooklyn Navy Yard. The mortise and tenon construction ensures generations of use.